Predicting the Golden Globes is hazardous, especially this year. 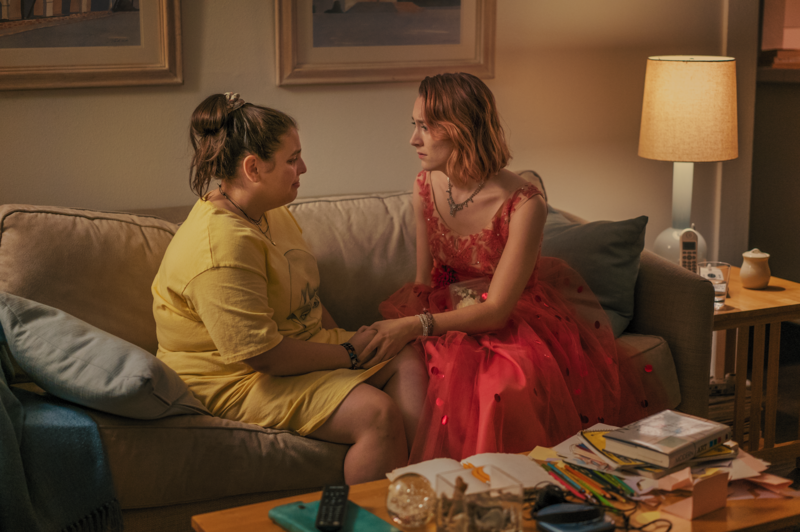 "Lady Bird" will dominate the best musical/comedy categories. It’s not easy to parse the idiosyncratic minds of the Hollywood Foreign Press, a motley crew of 90 veteran entertainment media who chum up with publicists and junketing stars throughout the year as they report on movies and TV for their outlets in 55 countries. Many of these folks have been covering the usual suspects for so long, they feel like friends. And that’s one reason why they make such different choices from other critics’ groups. The relatively senior HFPA’s taste runs the gamut from sophisticated (“Moonlight”) to mainstream (“The Martian”). They do like celebrities to come to the glitzy Golden Globes Awards show on January 7 (Daniel Day-Lewis, Margot Robbie, Jessica Chastain, Matt Damon, and Jennifer Lawrence come to mind), which is by far the most fun party night of the year in Hollywood. So that’s another factor. Early Friday morning, a messenger arrived at the front doors of voting members of the HFPA, many of whom stayed up all night filling out their paper ballots in all Golden Globe categories, both film and TV (those predictions here). The Golden Globes nominations, which will be announced Monday morning, will add momentum to certain races, without being at all predictive. 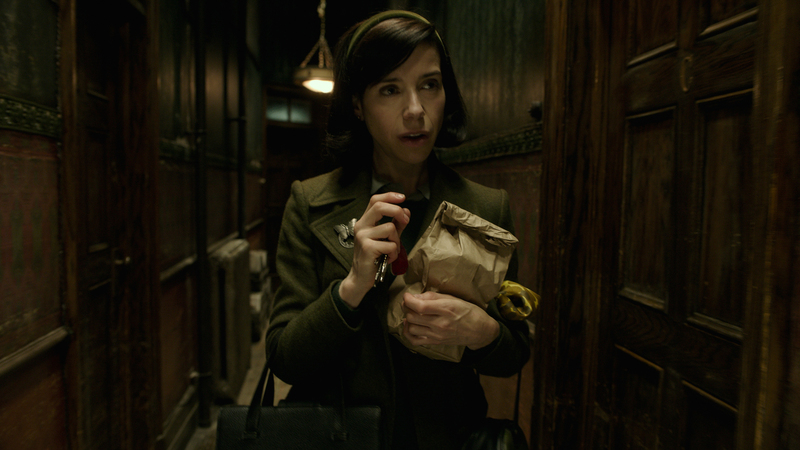 The Screen Actors Guild nominations, which follows December 13, will have more impact. While the SAG nominating committee, which changes every year, tends to be a tad more mainstream than the Oscars, they are more predictive than the Globes, as they come from inside the film community. There are always changes among the Oscar nominees from SAG and Globes — Academy voters usually add some classy additions to the mix — but the winners are usually close. The SAG Ensemble award, especially, often presages the eventual Oscar Best Picture winner. Those who land noms from SAG alone are more likely to land an Oscar nod than from the Globes alone. Land both groups, and you have better odds of landing an Oscar slot. Those who get neither reduce their chances. That said, expect a few surprises among the nominations. With both Musical/Comedy and Drama categories — which will likely be dominated by consensus favorites “Lady Bird” and “The Shape of Water,” respectively — there are more slots for Globe-winners such as “The Post” stars Meryl Streep and Tom Hanks, Denzel Washington (“Roman Israel, Esq.”), Jennifer Lawrence (“mother!”) and TV-winners turned Supporting Actress rivals Laurie Metcalf (“Lady Bird”) and Allison Janney (“I, Tonya”). Remember, this is the Golden Globes. “Dunkirk” is admired; heart-tugger “Call Me By Your Name” is popular; “The Post” and “Three Billboards” are timely; and Guillermo del Toro is beloved. (Harvey Weinstein is no longer on the scene working his wiles.) And finally, “Darkest Hour” may just be a Gary Oldman play. 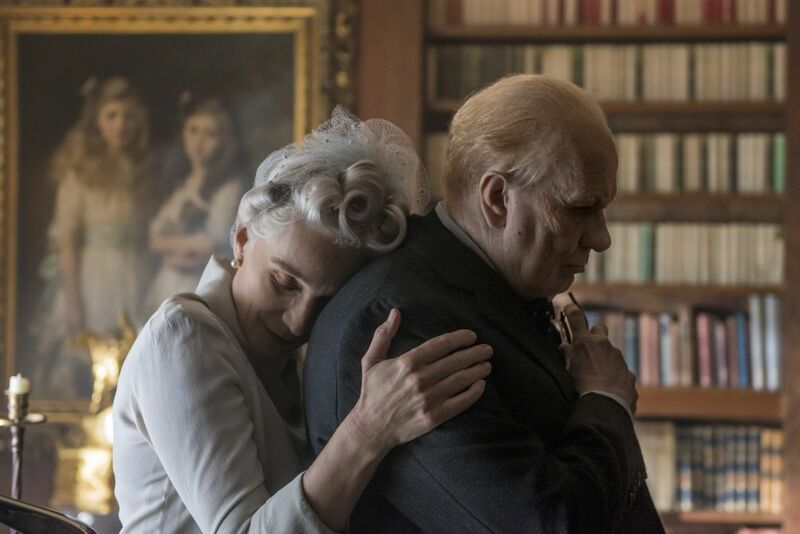 It will be a close race between momentum-building newcomer Timothee Chalamet and veteran Gary Oldman’s wily performance as Winston Churchill. This is Jake Gyllenhaal’s chance to shine, as James Franco competes in the Comedy category. With Ronan and Robbie in the Comedy category, this could be Hawkins’ best shot to win. Will Streep win her 9th Golden Globe (she’s scored 30 career nominations) for playing Katharine Graham in “The Post”? And will showy turns by Jessica Chastain and Kate Winslet beat out Annette Bening for her fabulous performance as aging Gloria Grahame in “Film Stars Don’t Die in Liverpool”? Or does HFPA darling Lawrence sneak in? Soairse Ronan channels her writer-director Greta Gerwig as a high schooler dying to escape her Sacramento life. The Globe is hers. Possible spoiler: Robbie’s tour-de-force transformation into Tonya Harding. 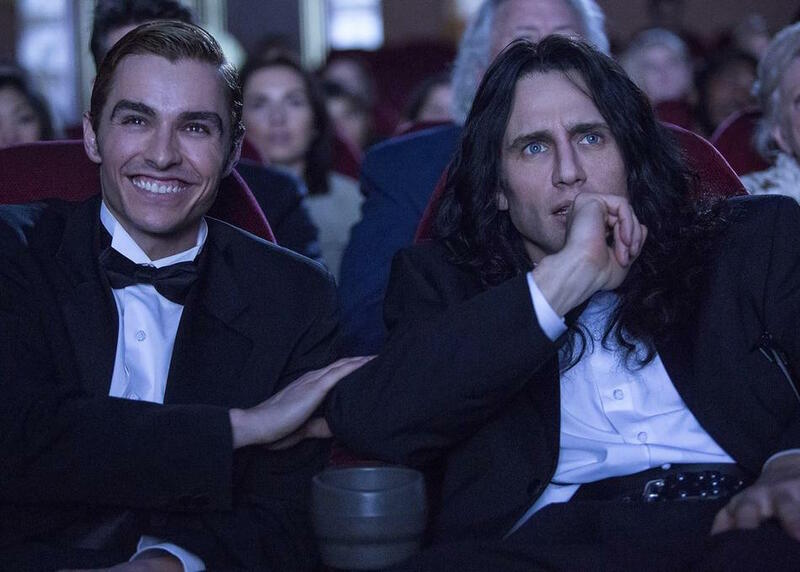 Notch a win for James Franco’s improbably empathetic performance as real-life “The Room” actor-director Tommy Wiseau. This is a duel between powerhouse mothers Metcalf and Janney, who are both popular. Veteran Holly Hunter could sail through with the spoiler win. 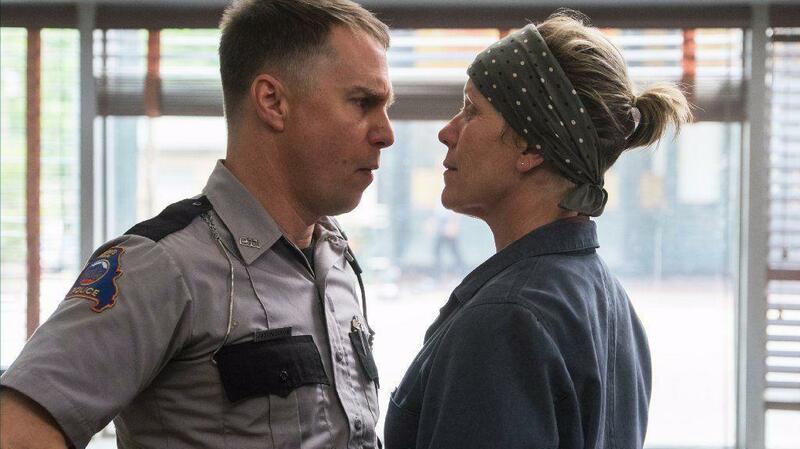 Leading the pack is the long-overdue Rockwell, who steals “Three Billboards” as a drunken bigot with a hidden heart. Richard Jenkins’ gay neighbor in “The Shape of Water” could sneak in there too. And the Globes voters could go with Armie Hammer over Stuhlbarg. It’s a face-off between the beloved Del Toro and the admired Nolan. If Joe Wright or Denis Villeneuve get in over Americans Gerwig or Spielberg, there could be no Americans in this category. It’s Jordan Peele for the win here, assuming “Call Me By Your Name” and “Lady Bird” are winning other things. Disney/Pixar’s Mexican Day of the Dead blockbuster should dominate this category. It’s on a roll. Following behind is Afghanistan drama “The Breadwinner,” which is also racking up kudos. The HFPA might want executive producer Angelina Jolie to win something. Movie star director Angelina Jolie may have a better shot with the Globes than she does with the Academy. Advantage goes to French composer Desplat, but this is a competitive category! Mary J. Blige also performs “Mighty River” for “Mudbound,” but there’s no indication that the Globes are paying attention to that Netflix movie. Sufjan Stevens (“Call Me By Your Name”), awards veteran Diane Warren (“Marshall”) and big name Elvis Costello (“Film stars Don’t Die in Liverpool”) are more likely to score in this category. The 74th Golden Globe nominations will be announced Monday, December 11 at 5:30am PT.